Photo of Samantha Barry by Web Summit, used under Creative Commons. 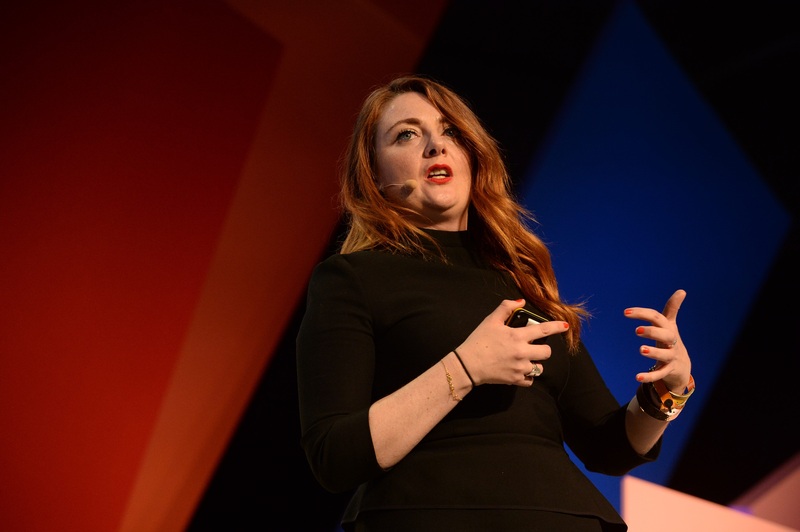 Glamour has hired Samantha Barry as its new editor-in-chief, Condé Nast announced this week. She will become the eighth editor of the women’s title since its founding in 1939. Barry joins Glamour with an exclusive digital and television background — a perfect match for the magazine’s transition to digital. With print frequeny and revenue decresing for Condé Nast, the company, and Glamour specifically, have broadened their digital footprint. The magazine’s website has more than 11 million monthly visitors, and around 15 million followers on its social media platforms. Condé Nast exudes confidence in their selection of Barry. “Samantha’s fluency in connecting with consumers in digital, social and video will give Glamour fans the content they love, and in ways that are most meaningful to them,” Robert A. Sauerberg Jr., the chief executive of Condé Nast, said in a statement. As print media transitions to digital-first strategies, here’s how customer data is guiding Conde Nast’s marketing plan. In a recent survey by Citizen Lab, a research group at the University of Toronto, data confirmed that most journalism schools aren’t doing enough to prepare the next generation against cyber attacks. Protecting identity, sources, and stories is crucial to current and future journalists. According to the article, “Only half of the 32 schools across the US and Canada that responded to the survey offer digital security training, and less than a quarter make that training mandatory.” While some schools do offer training, the survey shows these schools still don’t devote an appropriate amount of time to the subject. With digital threats to journalists on the rise, Citizen Lab’s survey underscores the importance of integrating security into journalistic practice. Facebook is testing a new section called “Today In” that will make it easier for users to find local news, events, and announcements from vetted sources. As part of Facebook’s Journalism Project initiative, local news publishers who appear in this feed will all be approved and vetted by the company’s News Partnerships team. According to the article, “All of this plays into the company’s broader efforts to cleanse the service of false information.” For now, the test is only running in six cities (New Orleans, La. ; Little Rock, Ark. ; Billings, Mont. ; Peoria, Ill.; Olympia, Wash.; and Binghamton, N.Y. ). The Facebook users who identity as living in those areas will be able to visit the new section in the app to see their corresponding local information. To read the open letter from from Carrie Gracie, click here. Maybe print media isn’t dead, just yet: Digital media companies are headed for a crash, Hearst Magazines president David Carey says.